The getSimpleName() method returns the simple name of the underlying class as given in the source code. Returns an empty string if the underlying class is anonymous. 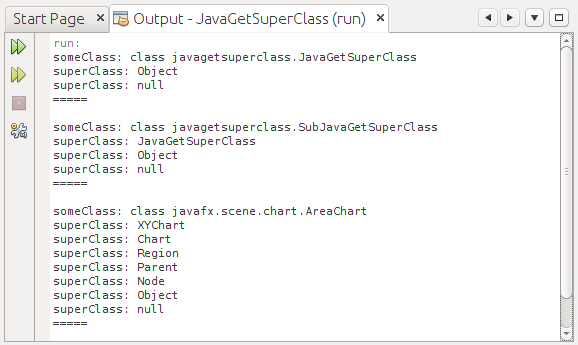 This example modify from last post to list superclasses with simple name.